If Kavanaugh gets confirmed and I combine this with a 40 or 60 round magazine, will I cause a rift in the space-time continuum? I've never agreed with calculus formula more in my life. Don’t care about that. I’m just curious if it will cure erectile dysfunction ?? Not unless you have the 'happy switch' on it. Nope, I think the space-time continuum will be fine. Will this bolt turn my ar into a full auto gun? Or what else would I need to make that happen. New to this and was just curious thanks! BEST ANSWER: absolutly. ALSO, I understand that taking out your buffer spring will help your bolt carrier move much faster back and forth. It would also help prove you shouldnt own a gun faster. No this will not turn the AR into a full auto. You have to add an auto sear to the lower reciever. However if youi do this you will risk jail time and and a hefty fine ffrom the ATF. All full auto weapons to be legal must have an AFT Form 4 tas stamp. The advantage of the full outo bolt is the weight. It assists with smoother cycling. Correct on not making AR15 full auto by itself, but Inaccurate on other stuff, there are new post -86 FFL/SOT full autos that do not require form 4... EVER. Okay DeLeon... :) Great answer! Do you think I can make it faster with a scary black handle in the front? No but it will make it full semi automatic. Only if you are the liberal news!! You would need more than just an auto sear and full auto carrier. You need a trigger group and safety selector too. It is necessary for some triggers that help you fire faster. For example if I wanted the echo 2 trigger I would need some sort of full auto bcg to take advantage of it. 10-15 Years in Federal Prison??????????????? Should not own a cap gun let alone a msr! Will it make my M4 automatic? BEST ANSWER: Only if you have the shoulder thing that goes up. Also, it may require you to make pew noises to jump start ot. No. You'd need this, a REGISTERED drop in auto sear or lightning link OR a REGISTERED receiver. This will NOT make a machine gun. If you think about doing this illegally, be prepared to have guys in suits knocking on your door. Like clown suits ? Birthday suits ? Space suits ? No...you would need the full auto trigger group as well and a class III license and associated tax stamp. There is no such thing as a Class3 "license". You simply need to pay the tax and purchase a transferrable machine gun or transferrable auto sear. No, this WILL NOT make a semi-automatic AR-15 fully automatic. If you have an M4, it's already automatic !! No. Only the fire control group can do that. Nope. That's the trigger group that makes it go " Pew PewPew "
No, Why would you ask this???? Looking to replace factory tiger ar556 bcg with a full auto bcg for reliability and fast firing. Will it work? BEST ANSWER: Where do you guys come from? Just funny to read some of the questions. You got no business with a MSR. TB, I hear you, man... And couldn't agree more. I'm not interested in buying any of it, but what's a MSR ?? Thank you for stating what I have been thinking. Most of the questions seem to come from people you see on blooper videos, They are going to hurt themselves or someone in close proximity.Yet some are legit. .
And this kids is why you should be careful when handling lead. If you have a factory tiger why are you buying a bcg? I'd let the tiger do all the work and save the lead. More quality bolt carrier than what you probably have now. Not nothing for faster fire though and will probably outlast the old on two fold. And I mean... No !!! It WILL NOT make your weapon “fire faster”. The heavier BCG will slow down your rate of fire. Not enough on a semi auto to notice, but it will. It will likely work, but there will be no difference in rate of fire. This is for legal use only. will this also work with .223 wylde? If you have to ask let me point you in the direction of the marlin 22lr rifle. Yes this will. 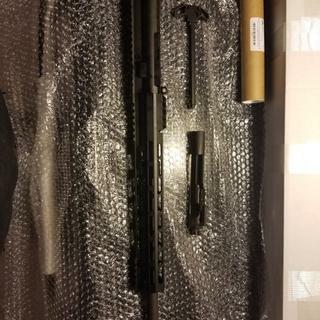 Bolt carrier, bolt and all other parts work perfectly. .223 Wylde is a chamber cut which is actually a match 5.56 NATO. The BCG will work for. 223,or5.56 which the. Wylde chamber is made for. Yes, this will work with a .223 Wylde chamber. Yes it will ".223 Wylde" has to do with the chamber dimension and not the bolt. what does this part do? is it the part that folds up? This BCG is what contains the firing pin and it cycles back and forth as the MSR fires. It ejects the spent brass and loads the new unfired round and locks up with the AR Barrel when in Battery. LOL, no that is the bolt carrier group or BCG. It is typically sold in one set up and nothing "folds" as it is pre assembled. Be sure to lubricate it before you place it in the barrel. Yes. It is a deadly barrel shroud device that makes your gun fire 30 heat seeking cartridges in half a second. I do not understand the question. There are many websites that’s demonstrate appropriate assembly and disassembly to assist you. Can I get this without the logo? BEST ANSWER: Yes, The part number is 39339. Do you actually understand what a "Logo" is ???? Does each part in this Premium BCG meet or exceed mil. spec.? except for government inspectors overseeing production or certifying the metals, yes, these meet the mil-standard regarding features. Yes Jay it does. And it’s staked. Very happy with it. I'm very new to this but could you tell me if that includes a firing pin? BEST ANSWER: Yes, this assembly includes the Firing Pin, the Firing Pin Retaining Pin, the Bolt and the Bolt Cam Pin. Any complete AR-15 Bolt Carrier Group (BCG) from a reputable seller includes a firing pin & firing pin retainer. PSA BCGs are excellent. I have several in use and have no complaints. I was new as well. This is a full BCG. So yes. 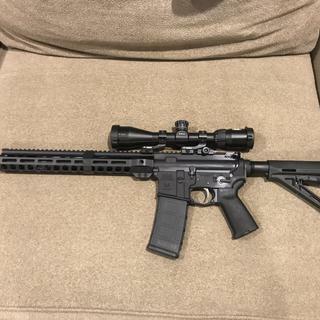 I built a 300 Blackout with it and it’s great. Any "complete" bolt carrier group has the firing pin and firing pin retainer plus the bolt. Yes it does you get a carrier, bolt, firing pin, cam, and firing pin retaining pin. Yes it does. This is a complete bolt carrier group. Yes. It is a complete bcg (bolt carrier group). Yes. And a pretty nice one at that. Yes, the firing pin is included. Yes, it includes a firing pin. Will this work the same for 300 blackout as well as 556? Check out Pew Pew Tactical's read on "Best Alternative AR-15 Cartridges and Calibers"
No, I do not believe so, as this is for a 5.56mmx39mm round and barrel (accepts .223 w/o issue). The BCG may be interchangeable, but the bolt is not the same. Of course, you should always research and make your own final decision...or speak to a certified armorer. Same BCG works for both 223 and 300 supersonic. You may need a different recoil spring with 300 subsonic. Since the brass case for a 300 Blackout is made from a 5.56 case, the only difference is the barrel. Yes. Using one now in 300blackout. Excellent product! BEST ANSWER: The largely subjective, but widely accepted answer is Toolcraft. PS has brought a lot of companies in to the fold over the last few years. As they are not publicly owned, there is no way to know for sure. That being said, I absolutely do not believe PSA would try and and claim that a bolt was HPT/MPI when they sell so many that aren't. Point being, who makes it is irrelevant so long as it's a quality product. Can't tell you who specifically manufactures this bolt carrier group but it is my go to BCG. The main advantage over other BCGs is it is chrome lined. Makes for a smooth operation. You are getting a quality BCG for a modest price. I believe these are made in house by PSA. You believe this, based on what ? How does this differ from a standard bolt carrier? BEST ANSWER: it doesn't. same thing. If by standard bolt carrier you mean a civilian semi auto ar15/m4, then the difference is that the back shoulder of the bolt on MOST semi autos has been neutered to where the bolt will not hit the secondary sear that is required for a fully auto to cycle properly and function correctly. Question Would a fotech echo 2 trigger work with my current bolt carrier or do I need buy this auto bolt carrier? BEST ANSWER: This totally depends on which echo trigger you have, the early version required a special bcg that was notched and the new one just requires a plain fa bcg. Are these checked for correct headspace ? BEST ANSWER: Head Spacing is specific to your barrel and the bolt. You will need to check it with your barrel receiver. Most if not all New Barrels and New Bolts will be fine. They will headspace on any mil spec barrel within spec. ratches on my round when my carrier slides over the shell in the mag ? BEST ANSWER: Yes this can replace a "normal semi auto bolt carrier," although I suspect that if you're scratching your brass it may be due to.something else. I recommend you check your mag and mag release to ensure they aren't the issue before you replace the BCG. Will it work with a semi auto? BEST ANSWER: Absolutely. Being a full auto bcg means it is designed to be strong enough and capable of being used in a fully automatic version also. I've used two of these in separate builds. And, they function flawlessly. Yes absolutely. They are the full auto style, meaning they are lighter weight. I have 1000+ rounds through this in an Anderson upper/ lower combo with 0 problems. Absolutely! I recommend Palmetto State Armory to all my friends, their bolt carriers are quality as well as all other parts! Yes mine works fine in my AR builds all i have is semi-auto,no problems with any palmetto items that i have bought. Yes I own several of these BCG and all I use them for is semi auto. No flaws with them at all. Yes Marty it works great. I have one , I think it’s better then a semi auto one . Absolutely! 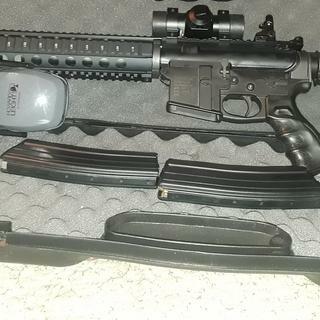 Works great no issues at all with the 7.5" pistol or 16" carbine. Will this work in an ar15 pistol? Yes as long as its used for 5.56/223 or 300 blackout. Yes. 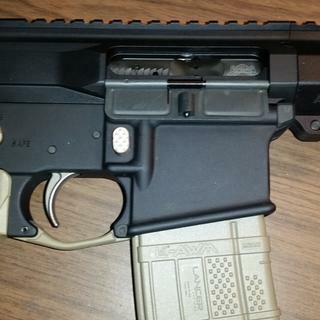 Have it in my 300 blackout ar pistol build. Will this BCG or a nickel boron bcg work with 7.62 x 39? BEST ANSWER: No,this BCG has a Bolt for the 5.56/.223 cartridge. You need a BCG with a bolt for the 7.62 x 39 mm cartridge. You can just use the bolt carrier with a 7.62x39 bolt and extended firing pin. Though i would probably just buy a dedicated 762 bolt. No, this will work as is for 223, 556, or 300 black out. For 7.62x39 you will need to purchase a 7.62x39 bcg. It will not! A 7.62x39 case is nearly 2x the diameter of a 5.56 case. No, The carrier will but would need to change the Bolt. No. 5.56 or 300 ACC only. Will this work on a S&W AR15? It is my experience that this bcg will fit any ar15 chambered in 223/556. Yes, it will work in any AR-15. Is the bcg work on semi automatic 5.56 ? BEST ANSWER: Yes. This bcg works for the semi auto 5.56. It works very good. Ok I will wait thanks. Is this better or as good as the Nic. Bor. BCG? BEST ANSWER: the C158 NiB version is easier to clean after use but feature wise, they are nearly identical. fwiw: PSA offers 3 different NiB bcgs. I like my Palmetto bolt, but I've never had a Nickel Boron bolt. Hard to compare. don’t have both ! but seems to be quaulity would purchase again ! BEST ANSWER: Yes it will work perfectly fine. I have 3 of these BCGs and have had no problems with them. They have held up exceptionaly well and have been 100% reliable. It should, it’s a standard BCG. Do I need to buy a firing pin for this ? 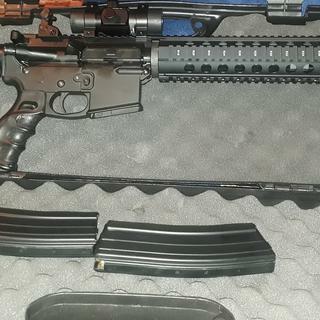 BEST ANSWER: I bought this same bcg this unit is complete you do not need firing pin already has installed. I've put this unit through he'll and back extremely happy hope this helps. No. It comes with the firing pin. Just add some lune and load it on your rifle and you are good to go. No, it’s a complete bolt carrier group. I’ve bought several and they are quite good for the price. No it is included. The bolt carrier is ready to drop in and go. No. All complete bolt carrier groups come with a firing pin. No you don’t. The firing pin is in the BCG assembly. No. This comes as a complete bolt carrier group. No, this is a complete bolt carrier group. will the bcg work for a 7.62x39 ? BEST ANSWER: No, you will have to purchase one that is for that caliber. I honestly didn't know for sure, but didn't think so. A quick search seems to support that conclusion. It seems you need a 7.62 specific bolt face at the least. However, I can tell you that I've been happy with my bolt, and every other product I've bought from psa. Good luck. The Bolt Carrier would work for a 7.62x39 but you would need a different Bolt. The Bolt face of the 7.62x39 is opened up and is lager than that of the 5.56x45 bolt face. So the short answer is no this will not work for a 7.62x39 application. Is this the same for the lower and upper. Maybe the carrier will work. The bolt definitely wont. Will this BCG work with my AR chambered in 7.62x39? No. The case size of the 5.56/.223 is much smaller than the 7.62x39. Specifically it is the bolt that is sized to match the case size. You need to get a BCG specifically for the 7.62x39. For it to work you will have to change the bolt in the carrier group to a 7.62X39 bolt due to the difference of the 5.56X45 brass and the 7.62X39 brass. You will have to change the bolt to a 7.62X39 bolt in the carrier group due to the difference in brass of 5.56X45 and 7.62X39. NO! Please seek the advice of a professional before you get hurt. That’s why I asked u. A simple no it’s a different BCG would have been great. I hope u don’t work for PSA because u might be damaging their rep.
No, the bolt is for 5.56 or 7.62x39. Adding this BCG to a standard AR, will it be necessary to have an adjustable gas block? No. Just a standard gas block would work fine. Nope, just drop it in and roll. So I have a Aero Precision upper and lower. How well does this bolt work with other manufacturers parts? BEST ANSWER: The AR15 is extremely modular. Quality parts from Aero and Palmetto will work perfectly fine together. It have an Aero Precision upper on a Spikes Tactical lower. The Palmetto BCG works well with my set up. It wasn't the one I wanted when I ordered it but it works. Double check that the ad matches exactly what you order and you don't get charged for shipping if the ad says free shipping. Works flawless in my ballistic advatage as well as my anderson uppers. If your aero is mil spec, should work fine. I have only used Palmetto parts and they work great together. I use this part with mt Aero upper and it works perfectly. As well than some and better than a lot. whats the difference between a full auto and semi auto bcg. Will this bcg work with either? BEST ANSWER: Because this BCG is full auto it is a little heavier than a sporting or light weight BCG. The extra weight gives a slightly longer lock up time. Because it is full auto if you had a legal full auto lower you could use this BCG in that lower and it would be capable of full auto fire in that mode.The bottom rear ( front )of the BCG is not cut out. The full auto BCG can operate just fine in Semi auto set up. If you had the full auto sear set up it would also function in full auto mode. This requires special permit and tax stamp. Too much trouble to obtain. Most of the BCG's out there are full auto ones and used in semi auto set ups. The carrier has more material removed in a full auto BCG. Both BCG’s work fine in a semi auto rifle. The full auto cycles faster than the semi. Yes, this bcg will work with either. Will this work in my Colt SP1 chamber for 223? BEST ANSWER: yes, colt sp1 or sp2... these fit and function great. From my understanding the Clot SP1 is a unique BCG . SO no. THIS BCG would work with any a full auto M16 or M4 lower. If you had the bucks to buy a full auto gun. Yes it will fit. This is a quality bolt carrier group. I’ve used both 223 and 556 with this BCG. It should, it's mil-spec. I've used these in numerous builds. If the colt is built to mil spec then yes. Yes. Colt SP1 is a 556 chamber. I failed to mention that my SP1 is pre bolt assist. Is this an actual full auto bcg? As in will it trip the sear? BEST ANSWER: It is a full auto "capable " bcg. If, you have a full auto trigger and safety it would function without issue. But, using this bcg does NOT make your weapon fully automatic. As far as I understand it most bcgs are full auto but you have to have a full auto sear in order to go full auto hope that helps. Works fine with no problems. Very happy with it. Good price and good quality. Bolt is way too tight in the carrier! Will not fully go into battery! Not smooth at all! I would like to return and "not" get a premium PSA carrier group! Bolt is good no issues works no jams. Gave it 4 stars do to quality of the gas rings. There is a difference compare to my M16a1 Colt. But for what I paid for it, I would buy it again. Well worth it for a semi budget build. Great BCG for the price! Highly recommend!! Fantastic quality, sent about 800 rounds of federal 5.56 through it and its been flawless. The gas key is properly staked and the overall quality is great especially for the cost. I would highly suggest for most budget builds! Missing gas key stakes. Became loose after 15 rounds. Bought two of these bcg. One did not have the staking on the gas key. Didn't notice till I went to the range. After about 15 rounds the gas key became loose and caused fte and ftf issues. Waiting to here back from customer service. However, I'm very happy with the other one. Very disappointed in QC and customer service! The one I got the bolt was hard to move in and out of the carrier, it had a gritty feeling to it. Called customer service to try to get a new one mailed out to me quickly but that not going to happen it will be about 2 weeks before I get a bcg back to me , customer service also set me up for a repair instead on a return/swap ,the rapair would take longer ,after looking at the email for shipping label and instructions I notice I was set up for the wrong one .so I called back and the lady got me set up for a swap but she for got to email the instructions ,so I had to call back again and get set up for the swap not the repair service. Now I have to buy a bcg locally to have it in time ! This was my 1st order with psa,I also order a complete lower that will be here soon.i was very disappointed in QC and customer service. Excellent quality and finish with good staking. Quality built part but have not used it yet. Nearing completion of my part collection for the parts needed for my build. Fast prompt service at a good price. P.S.A. came as a recommendation from a friend. Good bolt carrier group. It required a little TLC to clean imperfections but over all a good set up. works great, best bang for your buck. always happy with palmetto and there parts. Perfect mil-spec BCG. If you’re looking for a BCG that just works, look no further. I’ve got roughly 1,500 rounds on mine with no issues whatsoever. Very similar to M16A2 bolt. For the price, can't beat it. All is well. Does everything I need it too! It’s a PSA logo on a Toolcraft bolt. This is a HP / MPI BCG that is made by Toolcraft that PSA puts their logo on. Several thousand rounds of junk and premium Ammo with no issues. Works great with my Fostech Echo II trigger. I have several now and about 1500-2000 rounds have been fired between them. I haven't had a single problem yet. 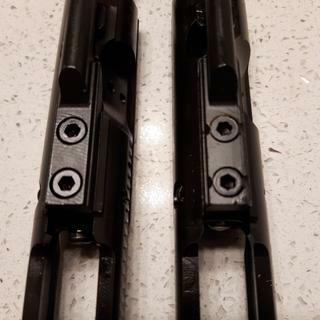 Great bolt carrier group at a great price. I prefer nitrided BCG. Had not had a failure with any PSA BCG. It works quite well. Thanks for being the PSA that you are lol!!! I have 3, thinking about getting another one. Beautiful fit and finish, and it functions as expected!